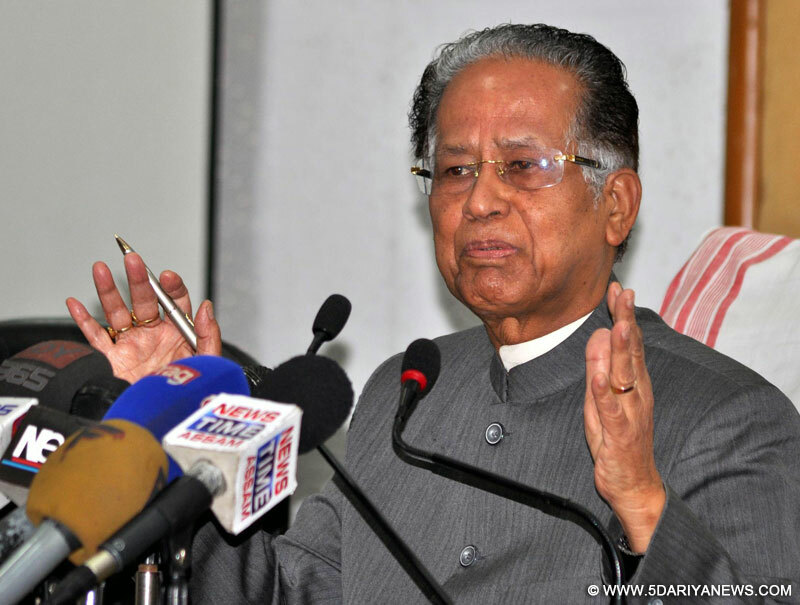 Assam Chief Minister Tarun Gogoi on Thursday said the BJP was "frustrated" and that was why they were so upbeat over the alliance with the Bodoland Peoples Front (BPF) for the upcoming assembly elections.A day after BJP president Amit Shah hailed the alliance between his party and the BPF, Gogoi at a press conference said the BJP "cannot even contest the elections" without the BPF. "Now without the BPF and its chief Hagrama Mohilary, they (BJP) cannot even contest the elections. Can you imagine the prime minister coming twice to meet Hagrama Mohilary in Kokrajhar."... yesterday (Wednesday) party president Amit Shah came to meet Hagrama Mohilary, who is confined to a small area like Bodoland Territorial Area Districts (BTAD) and represents a small community. This only indicates frustration of the saffron party," said Gogoi.The chief minister said the Congress had also allied with the BPF in the past. "We had also formed an alliance with the BPF in the past. However, I never went there to meet him. It was Hagrama Mohilary who came to us (Congress) and met me. "The BJP has now made Hagrama Mohilary a bigger leader than Prime Minister Narendra Modi and Amit Shah," he said.On Shah's Wednesday remark at a public rally that the CAG did not get replies to 822 inspection reports for more than 10 years and that there were serious financial irregularities of Rs.1,79,755.12 crore, Gogoi said Shah was nobody to ask him. "Why should I reply to Amit Shah? Let the prime minister ask me, I'll reply then. "This is nothing but propaganda before the elections. I submit memorandums to the prime minister and finance minister of India. Let them ask me about the irregularities, I'll reply," Gogoi said.On Shah mentioning rhino killings, Gogoi said: "Neither Shah nor the prime minister mentioned a single word about the 150 people who died during the floods in Assam in the last two years. "Does it mean that rhinos of Assam have more value than the people of Assam for the BJP," he asked.